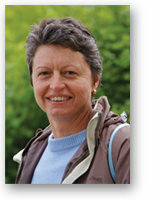 ProjectXChange was founded by Sanet Koster in 2005. The company provides change management and project management services for major retail, governmental and educational institutions in South Africa, Russia, the UK and the Netherlands. Sanet’s experience includes work on Woolworths Business Solutions Group, Ernst & Young Management Services, National Treasury and the KwaZulu-Natal Treasury department, the University of the Western Cape and Media 24, among others. Due to Sanet’s wide range of expertise and industry knowledge, ProjectXChange is also ideally positioned to help you source the right people for your projects.